A year ago I published an article about dry sift marijuana concentrate. Readers told us they were glad to hear about this relatively unknown cannabis concentrate. It’s like a cross between old-school screen hashish and bubblehash, but far easier to make than bubblehash. I made the dry sift a year ago after a massive harvest of Jack Herer and Pineapple Express. Since then I’ve made more dry sift, from Cuvee, Neville’s Haze, and Blackberry Kush. My rate of return is 2-6 grams of dry sift for every 27 grams (ounce) of buds. 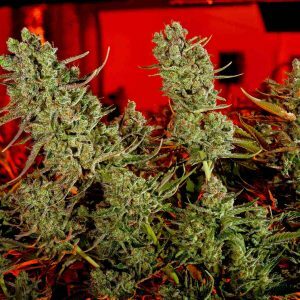 Rate of return depends on strain, and how well I grew and harvested the buds. It also depends on how I prepped the material and did the dry sifting. Some strains produce a lot more resin glands per ounce of flower and leaf than others. 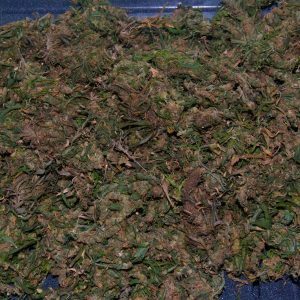 I’ve learned that for ease of sifting and highest rates of return, I dry and cure my buds longer than usual, and in cooler temperatures. Then I take those buds and put them in the coldest freezer I can find. Zero degrees is a good temperature, or a little lower than that. I do my dry sifting in the coldest environment I can stand. Cold is essential in every step of the dry sift process. It’s what makes the resin heads, filled with THC and other cannabinoid goodies, snap off and fall through the sift screen. And after they fall through, a freezer is the best place to store marijuana sift. For storing dry sift (or any marijuana product), use only sealed glass jars or stainless steel containers. A year ago I produced 59 grams of dry sift and have been “sipping on it” ever since. What happened to the leftover plant material after I dry sifted it? I made cannabis extract from it. It still had a lot of potency. Dry sifting is such an efficient way to get the full value from every harvest. I’ve come to prefer dry sift over any other type of marijuana product. One reason is, it’s easy to transport. And when it comes to getting stoned, a little bit goes a very long way. Oftentimes I light a half gram or less and get absolutely blazed for 4-7 hours. The jarred dry sift retains all the wonderful tastes and smells of the original buds when they were growing and after they’re cured. I enjoy opening my dry sift jars from time to time, and reliving those past grow ops. As I consume the last of last year’s batch, I have a deja vu involving tastes and smells of the freshly-cut buds a year ago. I kept some dry sift from each strain separate, and also made a cocktail by combining dry sift from all the strains. It’s fun to open a jar and smell a unique mix of Haze, Herer, Pineapple Express, Kush, and Cuvee… all still detectable even though clumps from different strains are combined in the same jar. A year later, my sift potency has only dropped about 15%. Not only that, the high is still as high as it was at the start. Many cannabis products, including whole bud and some cannabis concentrates, degrade in potency and in the quality of the high after a few weeks or months. The intensity of the high drops, and the high becomes more sedating and less stimulating. That doesn’t happen as fast with properly-stored sift. Dry sift retains smell, taste, potency, and quality of high for a long time. Another thing I like about dry sift is it’s not as pure as bubblehash so you can use it without a bedding of ash or bud in a regular small pipe. With bubblehash, if you put it in a pipe or on a nail by itself and light it, it often bubbles and liquefies, disappearing into your glass or otherwise running away so you don’t get the full value. Dry sift has just enough plant material so it can be combusted fully. Not only that, but dry sift is a stealth high. It doesn’t smell like weed in storage, transport, or combustion. You need so little of it to get so very high, that it’s also a harm reduction method that helps preserve your respiratory system, when compared to inhaling whole bud or even dabs. 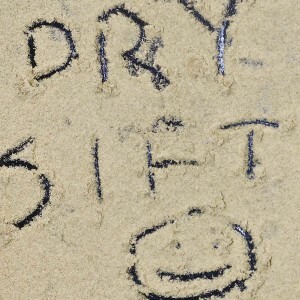 Take a look at the previous dry sift article and the videos embedded in each article. 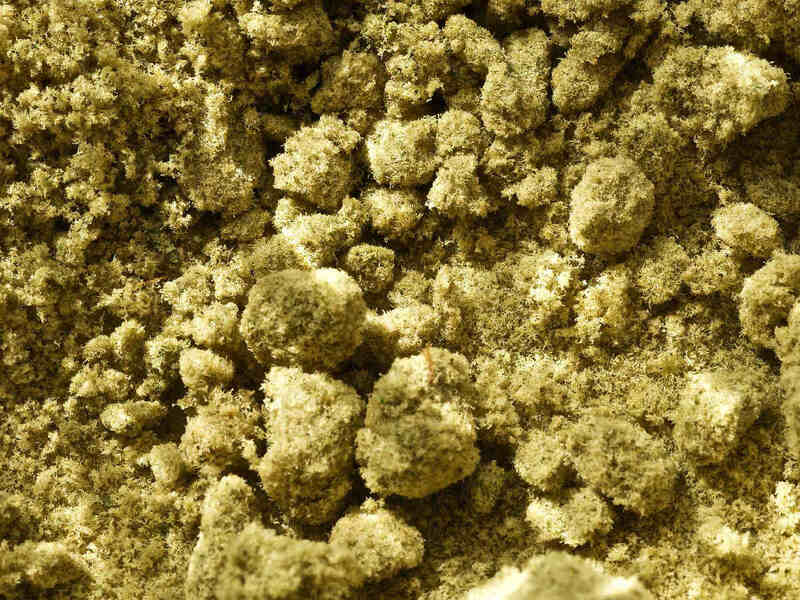 You’ll discover all you need to know about making dry sift… one of the kindest marijuana concentrates you can make.